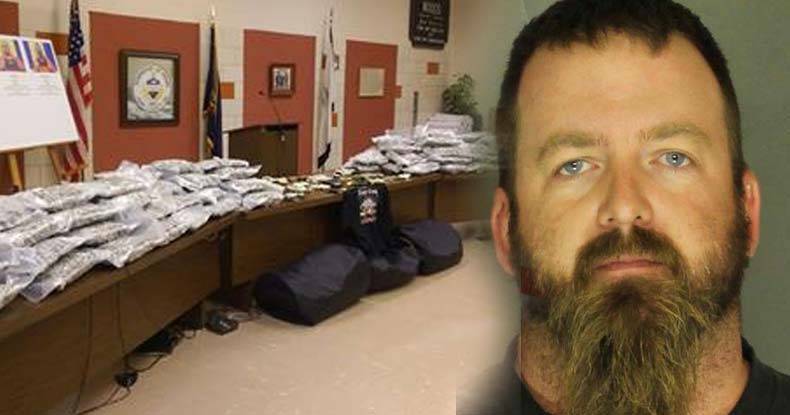 York County, PA — A California police officer was recently busted after driving 247 pounds of marijuana all the way across the country. Yuba County Deputy Christopher M. Heath was caught in York, Pennsylvania with a shipment of marijuana that was worth over $2 million. Heath was reportedly on vacation from his job at the Yuba County Police Department at the time of his arrest. The York County Police Department has been cautiously silent about the investigation, and they have refused to comment on the details of the arrest, and how they became aware of the shipment. York County District Attorney Tom Kearney admitted at a recent press conference that this arrest was a part of a large investigation that included various different police departments. Penn Township Police, West Manheim Township Police, Hanover Police, Northern York County Regional Police, York Area Regional Police, Springettsbury Township Police and the York barracks of Pennsylvania State Police were all involved in the arrest and present at the press conference. Investigators also had no idea that Heath was a cop until after the bust. Heath, along with two other men, Tyler N. Long, and Ryan J. Falsone traveled across the country in two pickup trucks where the marijuana was stashed in vacuum sealed bags. Chief deputy prosecutor David Sunday that while marijuana is not the department’s main focus, they are still targeting marijuana dealers in their investigations. Undersheriff Jerry Read.of Yuba County said that Heath was an “adequate” officer. This case is especially interesting because Heath was an officer on a narcotics task force, meaning that he was responsible for putting nonviolent people in prison for using and selling drugs. Meanwhile, he himself was selling drugs and taking part in the same actions that he was locking people up for. Of course, it is the view of the Free Thought Project that anyone should be able to possess marijuana, as it is an incredibly beneficial plant. While those who would lock up morally innocent people for possessing a plant are bad enough, it takes a uniquely vile individual to ruin the lives of countless individuals while at the same time committing equivalent acts. This hypocrite is currently on paid vacation from the department in Yuba despite admitting to transporting the marijuana from California to Pennsylvania. Heath is free on a 1$ million bond.